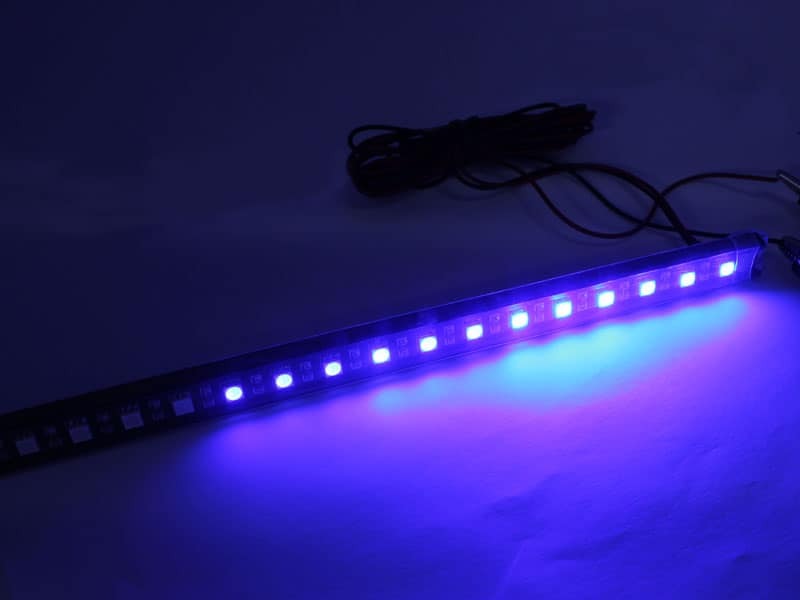 Looking for an LED strip with colorful patterns and cool motion scanning effects? 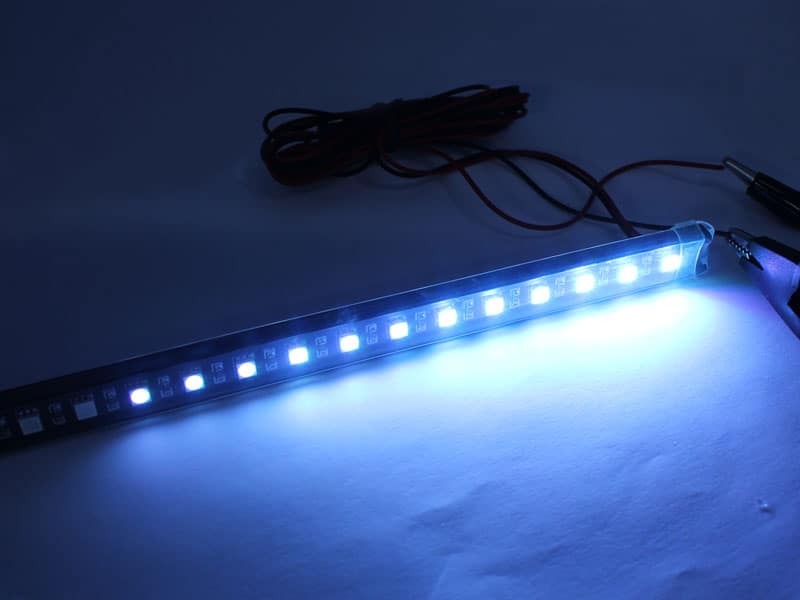 It has 24 premium 5050 size LEDs, which give you the greatest BRIGHTNESS! 7 colors and 23 patterns are at your fingertips with the included remote control. Straight, slim and with a black aluminum body make it cool and durable. Easy installation. Just hook it up to a 12V supply and place it anywhere you'd like. Patterns include Inward & Outward, Non-stop, Gather, Flash, Strobe, and Hold. Very bright & very cool. 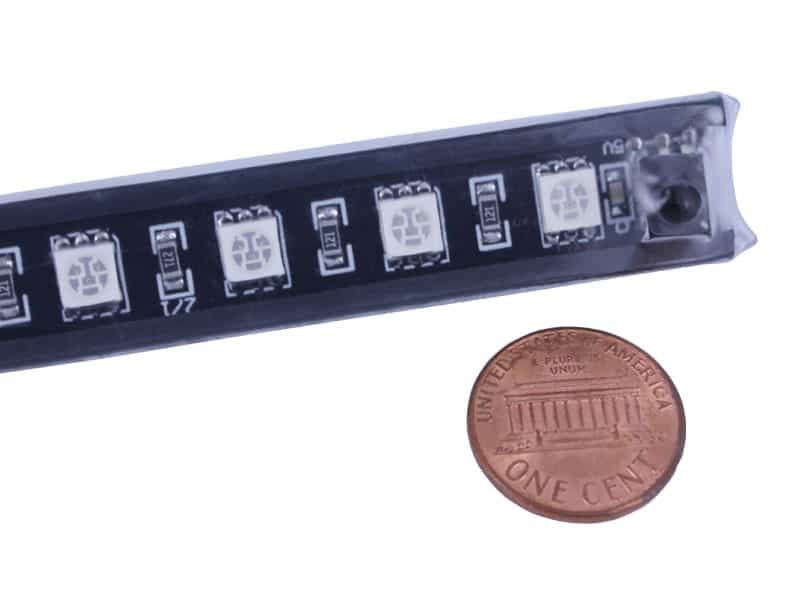 It lets you have total lighting flexibility. IP65 so it's rainproof & dust-proof, but NOT for immersion in water. 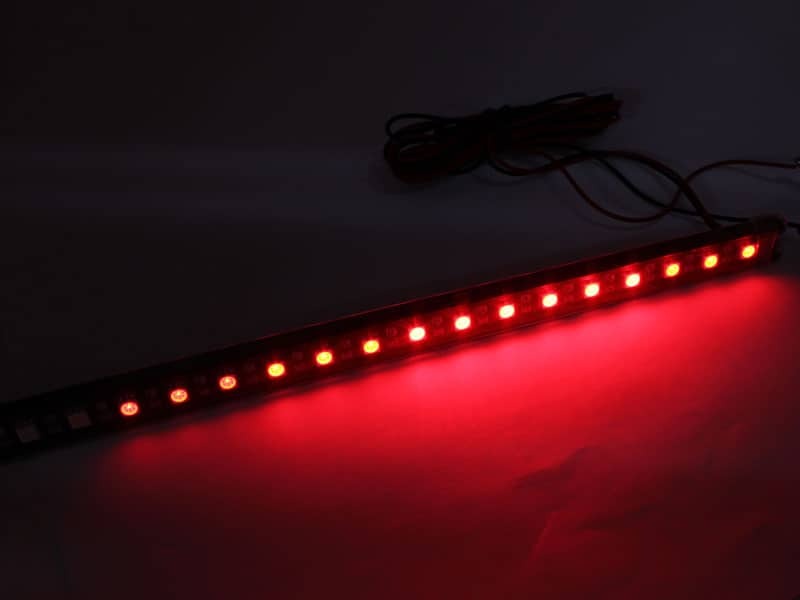 Whether you use the strip indoors or outdoors, such as cabinet lighting, mood lighting, or illuminated signs, you'll always have good performance by this amazing LED strip. 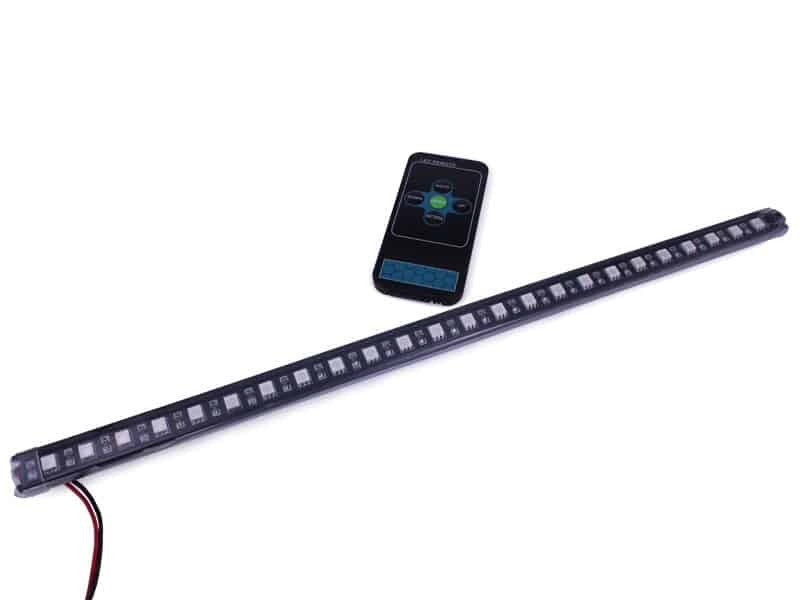 With the thin IR remote, easy and clear operation, construct different pattern by your "clicks". 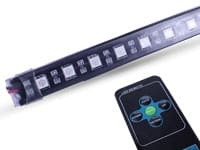 One remote can control all the strips you have. You can turn on all the strips with just one click, and generate numerous patterns with multiple strips! This strip has MEMORY function. It automatically saves your last pattern and will return to it again, even if power is removed. 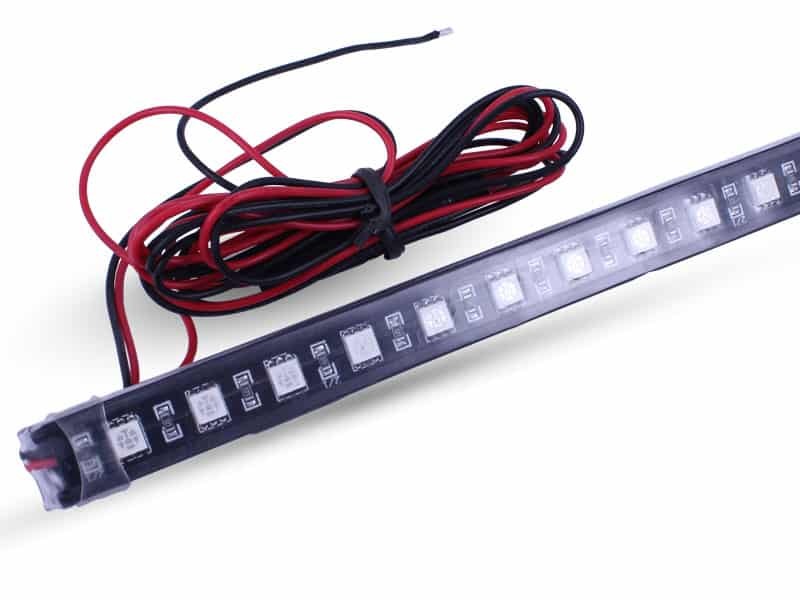 Compatible with any 12V supply. You could even connect it to a small 12V battery, to make it truly portable, without wiring limitations. 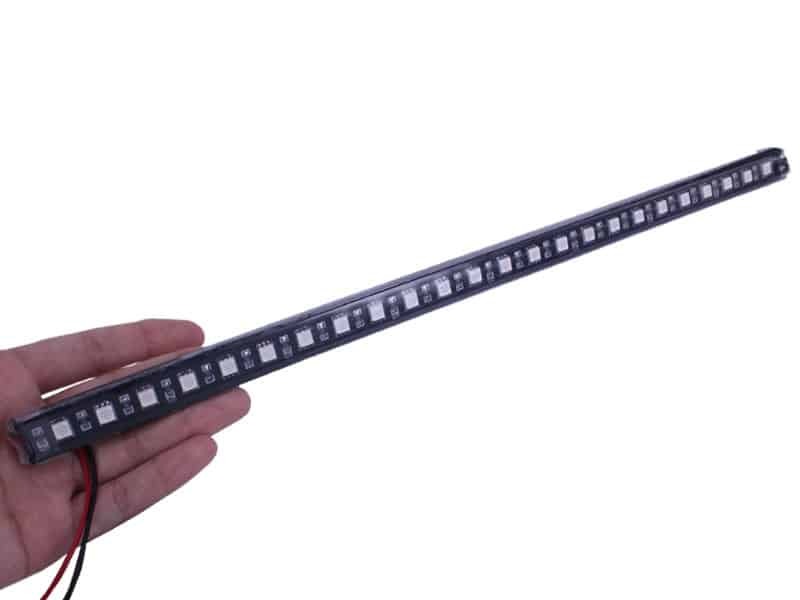 NOTE: Current stock is available only in a 6 led pattern, not the 3 led pattern that is shown in the video. I purchased this for my outdoor pond and it's perfect! Excellent customer service too from Oznium! I expected the strip I purchased to perform and have the same patterns as the video shows.